Defense counsel in any action brought by the personal representative of a decedent’s estate should take care to review the plaintiff’s probate file to ensure that the estate representative has proper standing to bring the action. 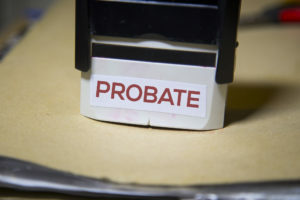 The Massachusetts Uniform Probate Code (MUPC), enacted in 2012, introduced several categories of personal representatives, some of whom are statutorily limited in their powers and may lack standing to bring a claim on behalf of the estate. Recent cases demonstrate that courts are willing to dismiss cases if the personal representative lacks the requisite authority under the MUPC. Among the categories of personal representatives established by the MUPC is that of a “voluntary” personal representative, which is an appointment available for small estates that have a total value of $25,000 or less. Recently, in Koltin v. City of Fall River, 209 F. Supp. 3d 130 (D. Mass. 2018) (Gorton, J. ), the U.S. District Court for the District of Massachusetts dismissed a case on the grounds that a voluntary personal representative lacked standing to pursue an action on behalf of his deceased brother. In Koltin, the plaintiff brought an action against a municipality for alleged civil rights violations. Following the plaintiff’s death, the plaintiff’s attorney moved to dismiss the case on the ground that the plaintiff was deceased. Soon thereafter, the late plaintiff’s brother was appointed the voluntary personal representative of his brother’s estate, and filed a motion to vacate the dismissal and substitute himself as plaintiff. Interpreting the pertinent section of the MUPC (G.L. c. 190B, §3-1201), the court ruled that a voluntary personal representative lacked standing to pursue the action. The court concluded that although the statute allows a voluntary representative to receive payments of debts and to negotiate or assign any chose in action, the MUPC “does not permit such a person to maintain such an action” on behalf of the estate. Id. at 131 (emphasis supplied). The court further noted that the brother had not listed the action as an asset on his Statement of Voluntary Administration, as required by the MUPC. See also Cobb v. Potwin, 90 Mass.App.Ct. 1102 (2016) (unpublished) (upholding dismissal of action because voluntary personal representative lacked standing to pursue action and because the action was not listed on statement of voluntary administration); Estate of Gavin v. Tewksbury State Hospital, 468 Mass. 123, 136 (2014) (holding that a temporary executor lacked standing to bring a wrongful death action). In so ruling, the court demonstrated the importance of ensuring that a plaintiff seeking to bring suit on behalf of an estate has the proper authority under the MUPC. The MUPC also provides for the appointment of a “late and limited” personal representative. Under the MUPC, a personal representative must be appointed no more than three years from the date of death. If an individual seeks appointment after the three years have elapsed, the MUPC allows only for the appointment of a “late and limited” personal representative, which confers only the limited powers to confirm title to estate assets and to pay administration expenses. See G.L. c. 190B, §3-108(4). 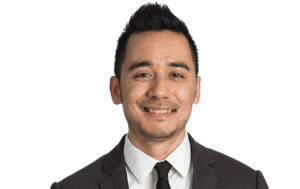 The MUPC’s three-year requirement is new (the previous Massachusetts probate code previously allowed personal representatives to be appointed up to 50 years after the decedent’s death), and thus defense counsel should be sure to check if plaintiffs have adhered to this three-year requirement. This issue arose in the recent case of Bennett v. R.J. Reynolds Tobacco Co., No. 2017-0603-BLS1 (Mass. Super. Jan. 8, 2018) (unpublished), a wrongful death action in which the plaintiff sought to be appointed the personal representative of her husband’s estate more than three years after his death. Having missed the three-year window by approximately two months, the Probate Court denied her petition and instructed her to instead seek appointment as a “late and limited” personal representative under G.L. c. 190B, §3-108(4). Plaintiff brought a wrongful death action in this capacity and defendants moved to dismiss on the ground that plaintiff, as a late and limited personal representative, lacked standing to bring the claim. In the absence of any applicable case law under the MUPC, the Superior Court (Kaplan, J.) turned to the case of Marco v. Green, 415 Mass. 732 (1993), in which the Supreme Judicial Court interpreted a similar issue raised under the MUPC’s predecessor statute. In Marco, which involved a wrongful death claim against a physician and hospital, the court acknowledged that the statutory scheme in place at the time recognized that some categories of executors and administrators did not have the authority to bring a claim on behalf of the estate, particularly if there is another statute in place that “deprives them of the power to sue.” Bennett at 5 (quoting Marco, 415 Mass. at 736). Applying this rationale to the MUPC, the court reasoned that certain types of personal representatives under the MUPC likewise have limited authority to bring a claim on behalf of an estate. As applied to the case at hand, the court reasoned that G.L. c. 190B, §3-108(4) “deprives” late and limited personal representatives of any power to sue and thus, under the reasoning in Marco, this type of appointee does not have the authority to bring a wrongful death claim. Accordingly, the court dismissed the plaintiff’s claims in their entirety. In light of these recently-decided cases, defense counsel in actions brought by a personal representative of a decedent’s estate should be sure to analyze whether the plaintiff took appropriate action under the MUPC to obtain authority to bring suit.